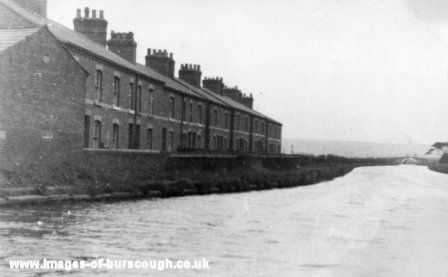 Ring O'Bell's Cottages, Lathom, early 1900s. (Photo courtesy - Christine Bridges). Ring O'Bell's Cottages, Lathom, early 1900s. 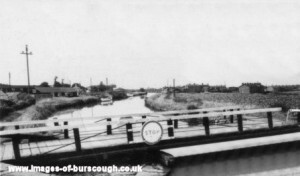 Looking towards Moss Bridge in the distance. 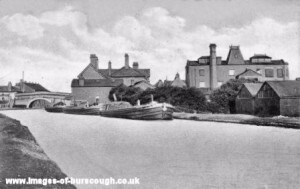 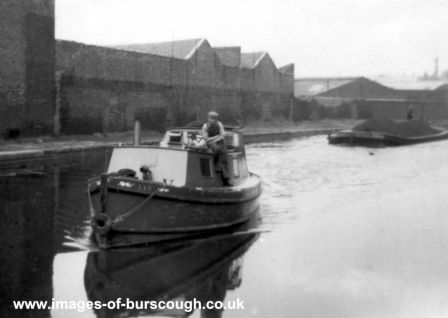 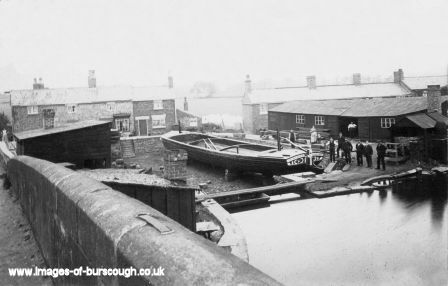 The Leeds - Liverpool Canal at Burscough Wharf, c1950. 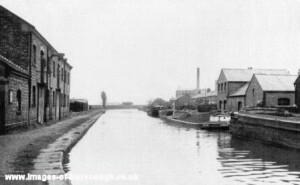 Ainscough's Mill and the Leeds - Liverpool canal, early 1900s. 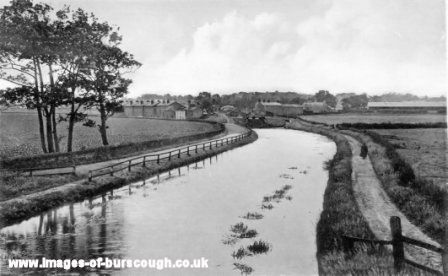 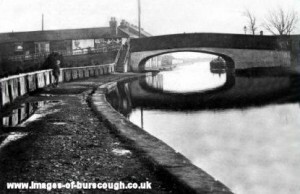 The canal at Rufford, early 1900s. St Mary's Church can be seen in the distance. 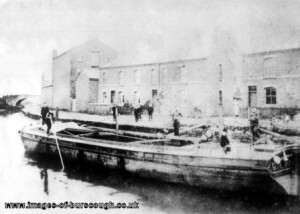 The Dry Dock (or Graving Dock) at Top Locks, Lathom, early 1900s. 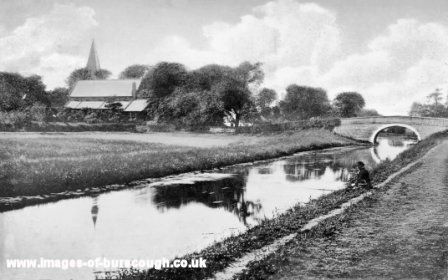 Silcock's annual Rushbearing Fair (often referred to locally as Rushburying), early 1900s. The Rufford Line looking towards Top Locks from Runnel Brow Bridge, early 1900s. 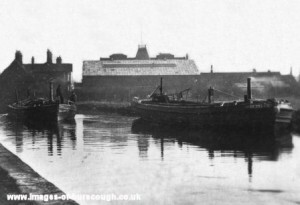 View from the canal looking towards Palais Buildings, early 1900s. The Leeds - Liverpool canal at Burscough, c1960s. Glovers Bridge, Wheat Lane, c1960s. 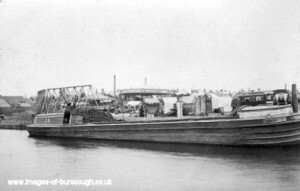 Tom Spencer Snr. 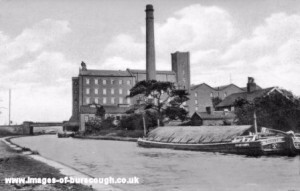 (of Burscough) passing through Bootle on the Leeds - Liverpool Canal, date unknown. 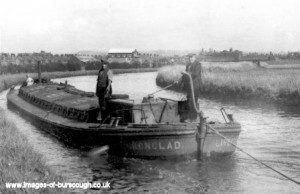 One of Ainscough's motor boats 'Ironclad' approaching Burscough loaded with corn from Liverpool, 1950s. 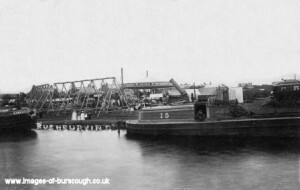 To the right is Peter Gibbons, and being towed (out of shot) is the dumb boat 'Viktoria'. 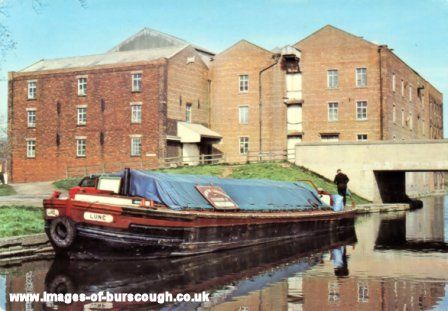 Ainscough's Mill at Parbold and the canal boat 'Lune', c1970s. The Packet House and Palais Buildings by the Leeds - Liverpool Canal, early 1900s.